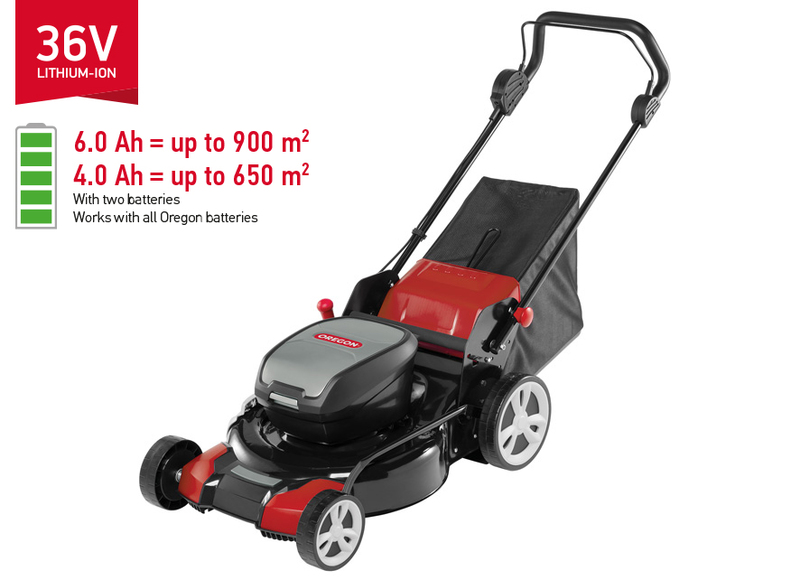 Oregon's new LM400 Lawnmower possesses the power capacity to cut any residential yard. 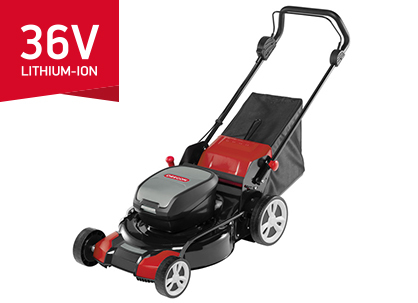 The LM400’s tough steel deck gives it the muscular look of a petrol mower — without emissions and excess noise. 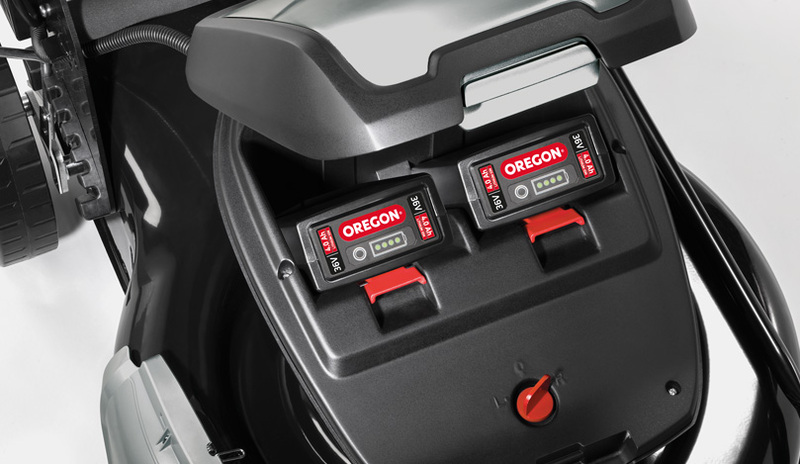 The LM400 can run on only one battery, but it has the capacity for two — which the convenience of extended run time. 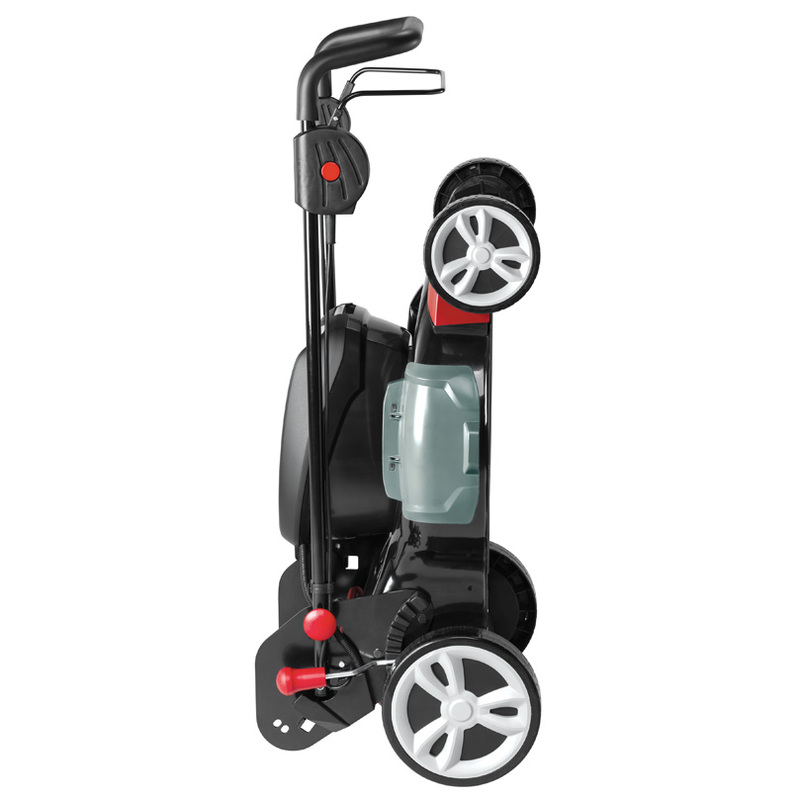 The LM400 has a vertical storage position, so it will take up minimal space in your garage. 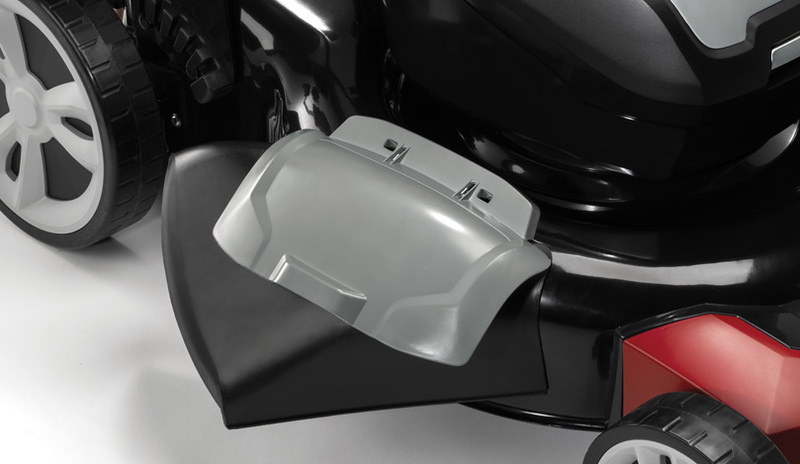 The LM400 has three convenient cutting options: Simply allow yard debris to collect in the provided bag. Use the right-side discharge to eject yard debris as you mow. 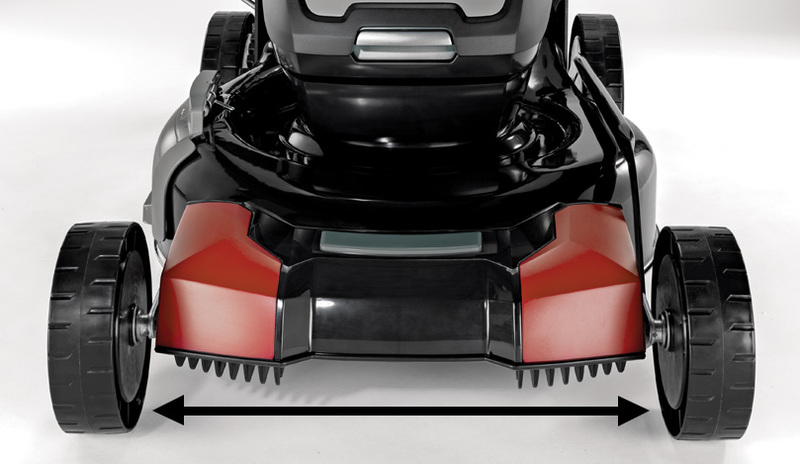 Choose the rear discharge option to dispose of grass and yard debris at the rear of the mower. Grass clippings will fall back onto the ground and help reduce your yard's moisture loss.